In happier times: Polaroid’s 1970s-80s television ads featuring James Garner and Mariette Hartley wisecracking and needling one another were widely admired and imitated. It was a wonder in its time: A camera that spat out photos that developed themselves in a few minutes as you watched. You got to see them where and when you took them, not a week later when the prints came back from the drugstore. But in a day when nearly every cellphone has a digital camera in it, “instant” photography long ago stopped being instant enough for most people. 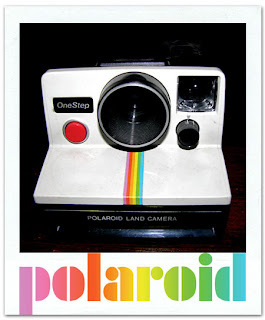 So today, the inevitable end of an era came: Polaroid is getting out of the Polaroid business. The company, which stopped making instant cameras for consumers a year ago and for commercial use a year before that, said today that as soon as it had enough instant film manufactured to last it through 2009, it would stop making that, too. Three plants that make large-format instant film will close by the end of the quarter, and two that make consumer film packets will be shut by the end of the year, Bloomberg News reports. The company, which will concentrate on digital cameras and printers, filed for Chapter 11 bankruptcy protection in 2001 and was acquired by a private investment company in 2005. It started in 1937 making polarized lenses for scientific and military applications, and introduced its first instant camera in 1948. The Lede remembers fondly how magical it was to watch the image gradually manifest itself from the chemical murk right there in your hand. But truth be told, the Lede’s own scuffed Polaroid SX-70 camera, which used to get regular use in all manner of situations, from producing a quick step-by-step primer on how to do the Ickey Shuffle to documenting a problem with a house he was buying that cropped up the day before the closing, hasn’t come out of its cabinet drawer in years. Loyal users take heart, though — Polaroid said it would happily license the technology to other manufacturers should they want to go on supplying the niche market with film after 2009. I love my Polaroid camera and I am upset about this. I'm trying to stock up on film. I heard about this a while back and I signed a petition to make it stop. I guess times have to change. Even if I don't want them to. I'm hoping someone will come in and buy the technology so I can keep taking photos.